Last weekend, when I walked to Bellerive Village via the Bellerive Yacht Club and Boardwalk, I was stunned by the beauty of the view. 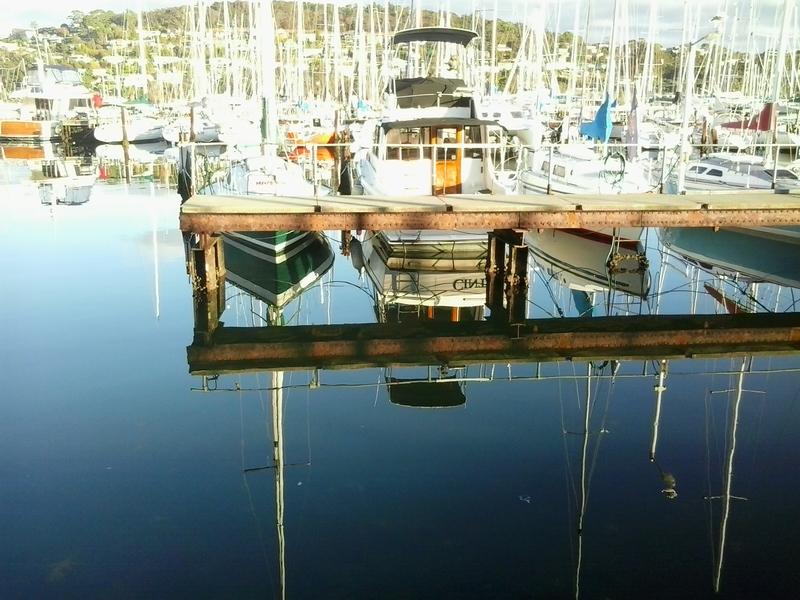 The water in the marina was smooth as glass. 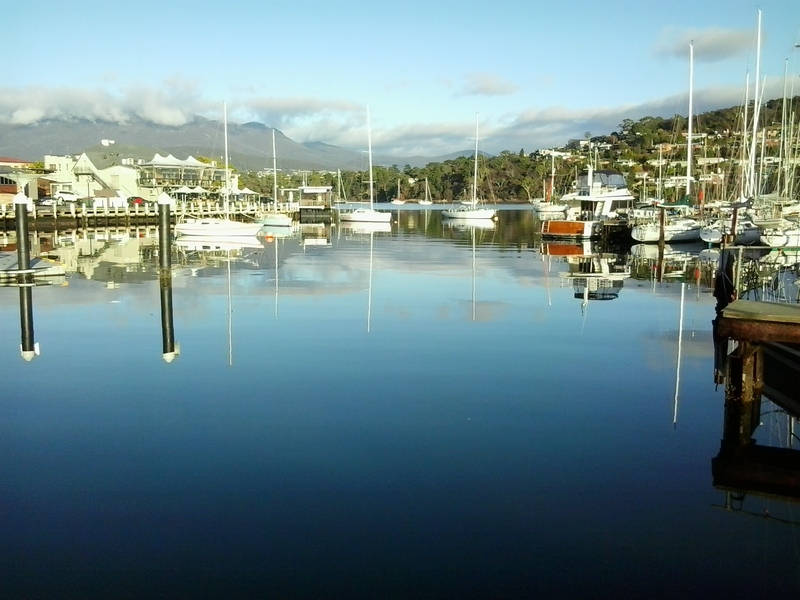 The yachts were clear edged by the crisp air and hard bright morning sun. Despite puffs of cloud obscuring full vision of Mount Wellington in the distance, the vista was spectacular. 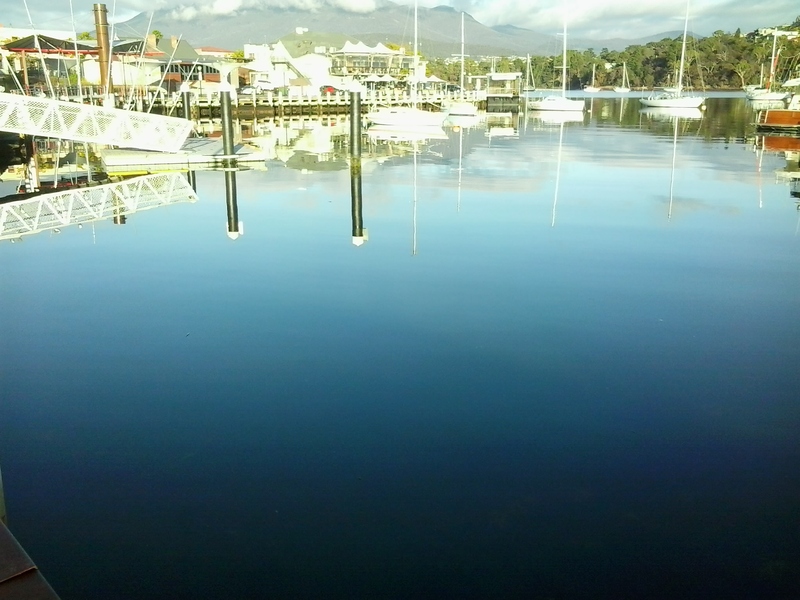 This entry was posted in Derwent River, Hobart, Mount Wellington, Tasmania, Walking and tagged Bellerive Beach, Bellerive Yacht Club, Boardwalk, Kangaroo Bay, Marina, Mount Wellington, yachts on March 31, 2015 by Tasmanian traveller. If you come down to Hobart and want to walk alone that’s fine.If you would like to walk with me on part of a section of my walk that you are interested in, then let me know on walkingthederwent@gmail.com and perhaps we can connect up. I just enjoyed a few hours a couple of weeks ago having a relook at GASP and MONA, accompanied by a New Yorker who follows my blog. Thank you 🙂 I aim to visit the Port Arthur historical prison, I am writing a book (fiction) from the perspective of a woman convict, and am bringing my hubby and daughter with me, We aim to come down August for just a long weekend. I am so enjoying your blog!